Medicine Hat is a hub of agriculture, industry, manufacturing and oil. All of these industries require reliable pumps, generators and electric motor repairs in Lethbridge. Luckily, DTR Services is here to help you keep your business up and running with the proper repair or installation of these items and related equipment. For over 20 years, our experienced professionals have helped businesses just like yours in Medicine Hat, Lethbridge and the surrounding areas. Few companies have over 20 years of experience in generator repair in Lethbridge. If your generator is on the fritz, give DTR Services a call. We'll give your generator the attention it needs. We'll also perform the necessary services to confirm that it functions properly and safely. Additionally, in the event that you need a new generator, we also carry and install replacement models. Pumps handle a variety of functions in a variety of fields. We take the time to ensure your pump's functionality exceeds your expectations and keeps your business operations flowing smoothly. 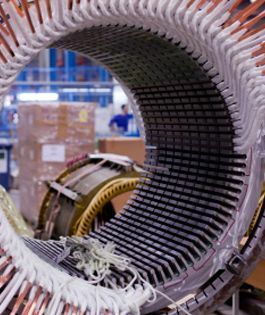 We will repair your electric motors quickly and efficiently so your organization experiences minimal downtime. We have a large selection of replacement parts, so we can repair a variety pumps and generators and help them operate like new. If you have questions on these services or the ones listed below, please contact DTR Services today.